Columbia Business School’s 2004 commencement was going to be extraordinary. 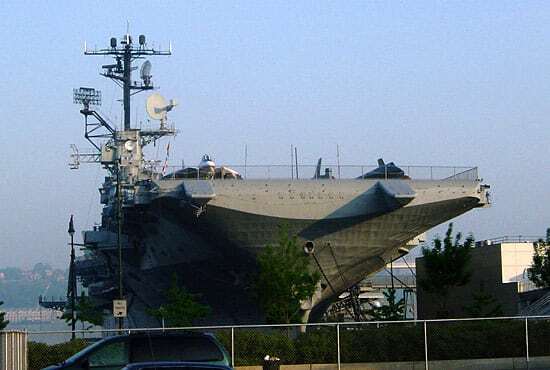 A historical aircraft carrier, The Intrepid, would be the location for this very important event boasting a guest list of approximately 1,200 people. 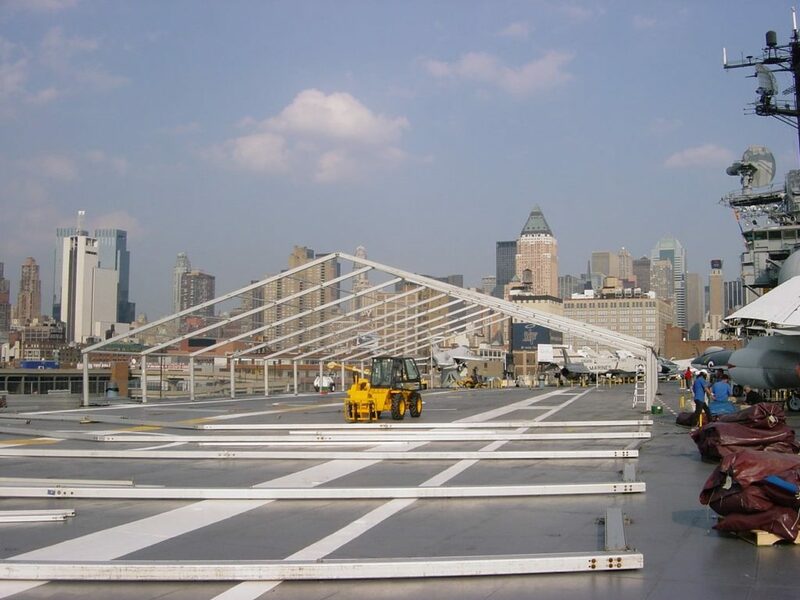 An event of this size had never been done before on The Intrepid. 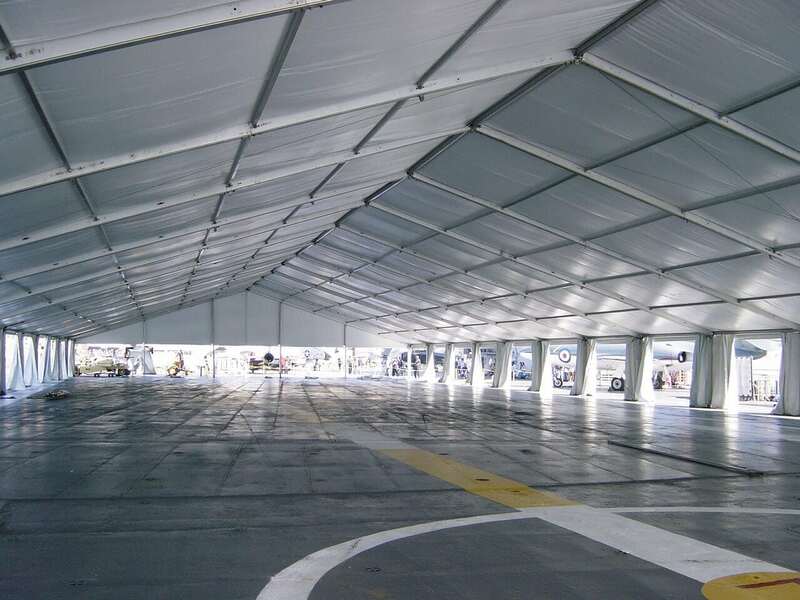 The antique planes that called this place home would need to be relocated…and for Regal this location would mean that every single piece of equipment would have to be crane lifted 5 stories onto the ship’s platform and all of the tent’s base plates would have to be welded to the metal of the ship since concrete weights could not be used. 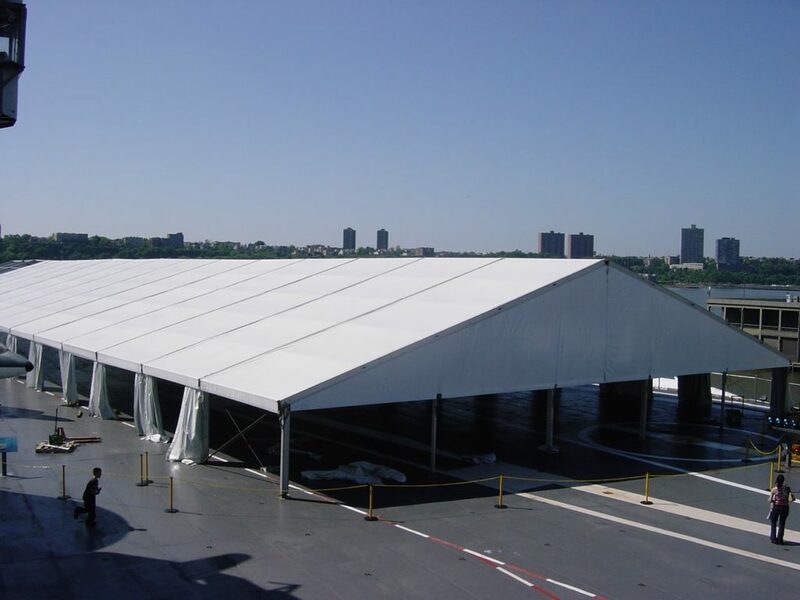 A massive temporary structure that spanned the width of the ship was erected, despite these challenges. And the result was a spectacular venue in a totally unique location!